The latest window fashions are our fantastic Roman Blinds, they are sophisticated look and feel great in any home. 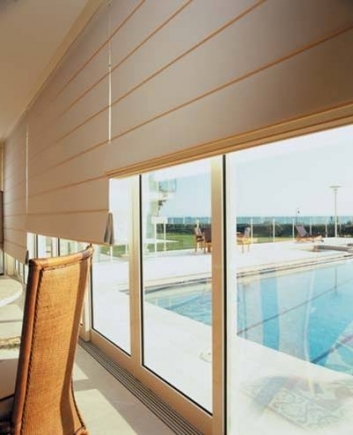 The cool straight lines with the blend of the latest materials are an excellent choice for window fashions. No other product has the look of timber and textile to cover your windows with the popular colours. If you want the traditional calico and timber in the light cream or some of the latest exciting colours combined with the cedar battens we have them available. Californian Blinds have timber battens.